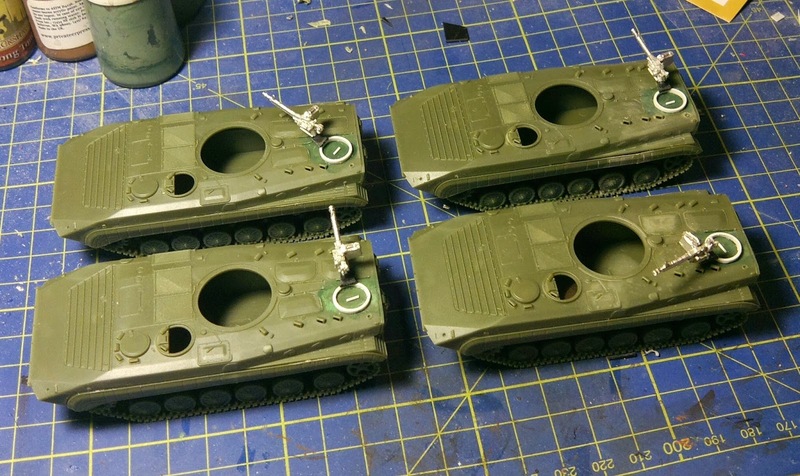 A little more work on these, I've added the rear AA MG in place of the 4th hatch. Mostly sytrene work and Dushka guns from Elheim. 2 more weeks and we'll be back to 40k, promise!